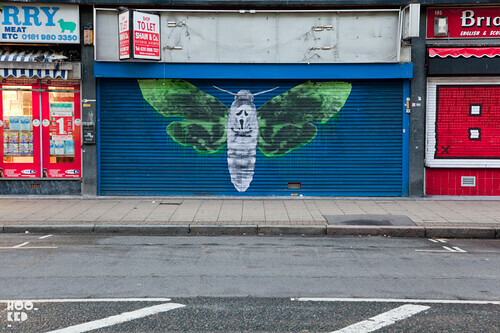 Friday evening saw the opening of Paris based artist Ludo's first London solo show Metamorphosis at the High Roller Society Gallery in East London. The show featured a collection of large scale pencil works as well as some impressive sculptural creations within a site specific laboratory like installation complete with live insects! The opening preview also marked the launch of a new print edition 'e-Lepidoptera' from the artist, as well as the international launch of a new Ludo book, with an introduction from Marc & Sara Schiller of Wooster Collective. A limited edition of 25 signed copies which came with a small print were on sale on the opening evening but we suspect they quickly sold out. Our friends over at Graffoto have done a far better job at reviewing the show than we could and we suggest you stop by and have a read of their review. The exhibition runs at the gallery until the 7th October 2011. 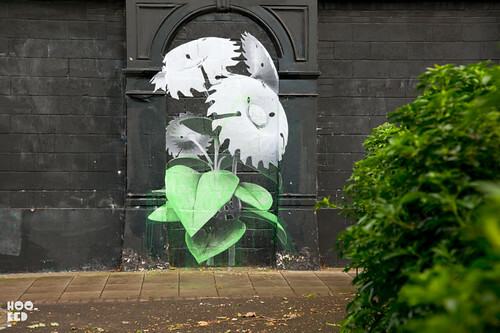 With the exhibition up and open, Ludo found some time to hit the streets of East London with a number of his large scale signature paste-ups, which are part of his on-going Nature’s Revenge project. 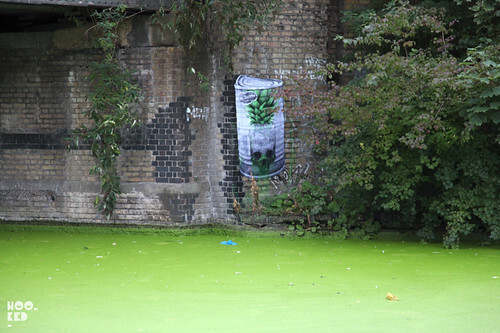 We managed to photograph a few of the pieces pictured here and have yet to locate some of the other pieces he installed, which we believe are out near Hackney Wick. If anyone sees anything let us know!